Been here twice now, and both the pizza and pasta dishes are fantastic. The service is also very friendly and knowledgeable, and it's never too crowded or loud! I've lived in the neighborhood for a few months now and this is the first restaurant where I could see myself becoming a regular. Tour group was in there when we arrived which made for a strange atmosphere. Excellent pizza though! Wine is a bit $$. Restaurant said they had no record of my reservation (even though I clearly showed them an active open table reservation/confirmation). So, we waited for for about 20 minutes for a table, were seated in the aisle table that everyone needs to walk next to to get back to the 2nd half of the place (not a huge deal but not ideal). When we were finally seated, we were informed that they were waiting on menus to provide to us, fast forward another 10 minutes and we finally got a menu. Pizzas took about an hour to come out, but we’re very good. Pretty loud, as to be expected for a Friday evening. Real pizza by real Italians. The way pizza should be done with respect by way of excellent ingredients. The dough-the foundation of the pizza-is superb, and it just gets better from that point. Great pizza, subpar service. It was apparently an unexpectedly busy night, but we had to wait too long at every stage of the process, from water to ordering, aps to mains, and even the check. It wasn’t terrible, but it was consistent. That said, the pizza was incredible. One bite, and all the issues melted away. Grazie mille! Sempre è un piacere mangiare a Luzzo’s. Ci vediamo presto! 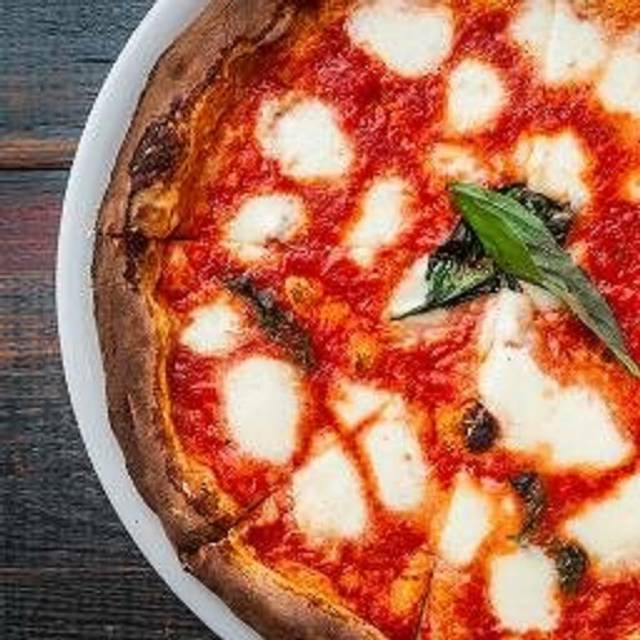 Best pizza in NYC, and I’m saying this as someone born and raised in Italy. 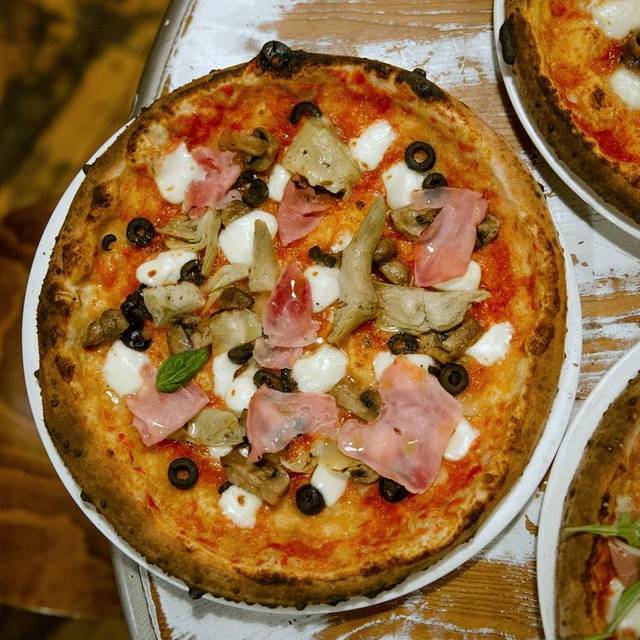 It compares with the very best pizzerias in Italy. I’m addicted! Arrancini, Pizza and Pasta...all very good. The place had a great vibe and the staff were all smiles. Loved it! This is one of our go-to places in the neighborhood. Management is very friendly and offers great recommendations for wine. They were very busy tonight and it took a bit longer than normal for our entrees to come out, but it was worth the wait! Excellent pizza, great wine to go with it. Value is in the pizza and service, wine not great value but ok. The pasta dishes other diners were getting looked great as well, we will try them next time. 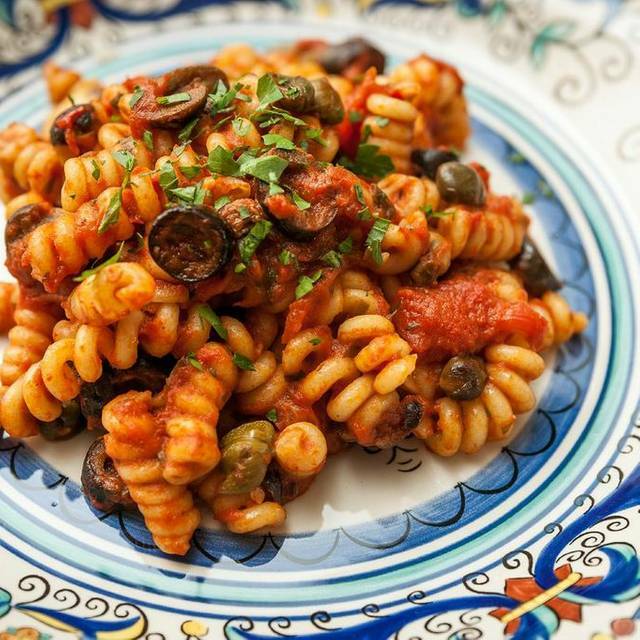 Authentic Italian cuisine with genuinely friendly and caring staff who remember your name. Very kid friendly. Closest to my Italian grandmother's cooking than anywhere I know! Came here for the first time during the weekend with a friend. 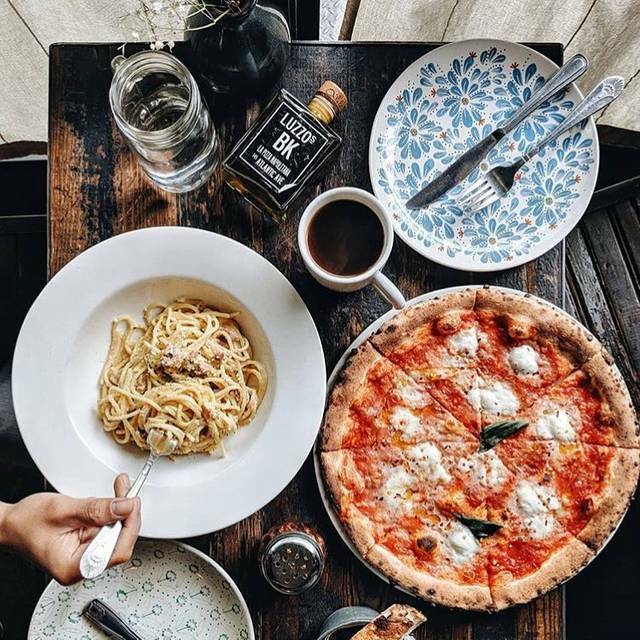 I love cozy places with good comfort food and a casual atmosphere, and this was exactly that. We got wine, salads, and a pizza and all of it was delicious. Service was attentive without being overbearing. I live nearby and will definitely come back as a regular! This was out first time to Luzzo's BK and we ordered pizza, which was delicious. All of the other dishes looked very good as well. The friendly staff and the fast service is what makes this restaurant outstanding, and the specialty cocktails are very good. We had a delightful group dinner here on New year's Eve - the food is delicious and the service is so accommodating! Dinner for seven with family. Great pizza, great wine selected by the server. Really excellent omelette. Our friends/kids enjoyed the pizza too. Great local spot - delicious pizzas and pastas and awesome service and staff and great relaxing vibe! Loved the food and the staff was super nice! Just a little too close to other tables and staff a little too busy. Nutella zeppole to die for !!! Great staff and great food experience. Pizza was top notch. Appetizers excellent also. Best pizza and pasta restaurant. Amazing Italian service. Excellent food, fantastic people and service...perfect dining experience! I almost don't want to rave about Luzzo, because it's special and I'd want to keep it a secret. But that's not fair to Luzzo, and they deserve many many many years of success. 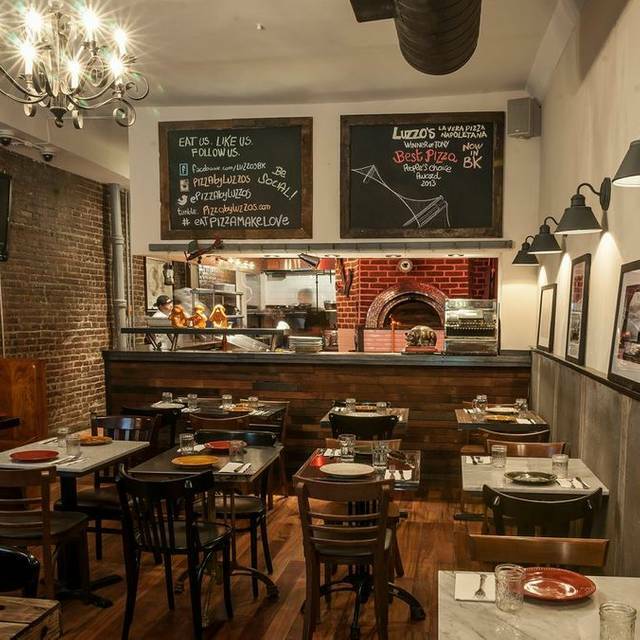 The Luzzo’s family of restaurants are all really nice and this Brooklyn branch is no exception. Great service, great ambiance, delicious food and quality drinks. Highly recommended! Unbelievable experience. Food was delicious. Service was a 10 out of 10. The best pizza I’ve ever had, including the ones in Italy. Looking for a good pizza place near Borough Hall and Luzzo's BK was recommended. Went for Sunday lunch. Place was pretty empty but service still slow. Hot day; no central A/C. Nice ambience; comfortable seating. Excellent pie. Also had a couple of salads which were way overpriced for the size. Had a diet coke - fountain drink medium size was $3 with no free refills. So overall: very-good to excellent food but very pricey. Not a good value. Food was very tasty and fresh. The Luzzo BK pizza is excellent. I will be back. Best pizza ever. Top ingredients with perfect preparation. Doesn't get any better. We took our parents who were in town. Amazing truffle pizza and wine special was delicious. We hade a fabulous time. Stumbled into this by accident and will definitely be back on my next visit to Brooklyn! Great little place with amazing pizza and great service. Clearly recommended! a place for young kids. The calamari was delicious and the pasta soup was amazing. Then came the pizza...sooo yummy. Can’t wait to go back and try all their pizzas!! Gennaro was so welcoming and accommodating. He made our experience all the better with great service, wonderful conversation, and good food. I reserved a large group at Luzzo’s on a recent sunny Saturday afternoon. Staff was awesome - accommodating and friendly - the manager Gennaro was especially lovely to our large group. 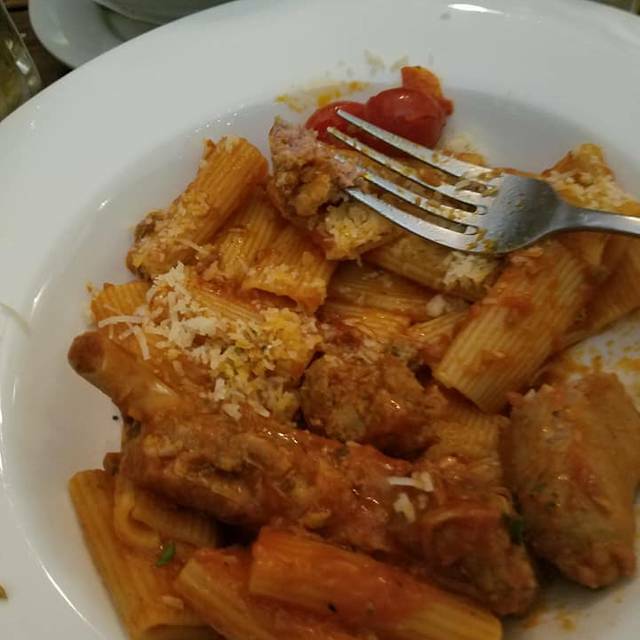 I would definitely recommend Luzzo’s BK to everyone looking for a nice pizza lunch or dinner! In addition to the great staff the food is delicious - great pizza, salads and an awesome calimari appetizer. The restaurant is sunny and open in the front and cozy in the back. Our group had a lovely time and will be coming back here!